The saga that is my car repair is finally over. What is the final tally of time that elapsed from the hit and run to me getting my car back from the repair shop? Let's do a quick recap for those who haven't paid attention. My car rear bumper was hit while it was in the parking lot of a grocery store. The a*shole didn't leave a note. Two days later, I had the estimate in hand, ready to send to my insurance so they could do their thing. That's where the drag happened. My claim guy tried to make me go through my comprehensive, which has a deductible of $500 for me. This is clearly a hit and run and should be run through uninsured motorist per Virginia law. My deductible for this is $200. A huge difference in money for me. My claims guy fought me at every turn. I finally called my broker to call him and school him on insurance law. She even went several levels above him before he finally realized he wasn't going to get away with this. Then he tells me "the check is in the mail." I never ever get it. I started emailing him daily telling him I didn't get it today over and over. He finally says, OK, I'll cancel that check and reissue a new one. I never got that one either. After several days, the dumba*s figures out oh yeah, duh, I've sent those checks to the repair shop, not to you. Well this raises another eyebrow as the repair shop never called me to say, we have your money, let's make an appointment to fix your car. Trust I told off the person on the phone about this when I called to set up my repair. I'm told four days to fix my car and I drop it off on a Monday. The rental car I got was a baby poop orange Ford Escape. Automatic. I hate automatics, but they don't have stick rentals. Oh and I'm used to driving a little Honda Civic. This Ford is a behemoth. I felt like I was driving a bus!! Oh and this car was a piece of crap. I would mash the pedal to the floor and the car would rev it's RPMs to the 7000s but go nowhere. It was like the car was trying to figure out what it was supposed to do. Finally, it would catch and take off. It was annoying as hell as I like my speed. I had that car for four days. I went to get my car from the shop and was all excited. It looked brand new all over again. The hail dents were gone, there was a new bumper and new paint job and clear coat. I do see some buffing marks on the side that I can't get out. It's like it is under the clear coat. I have a one year warranty on this and I'm going to wax it myself today and then see what my mom thinks when I show it to her. If she says it's that obvious, I'll go back to them to fix it. But the shop did a good job. They detailed my car as well. Vacuumed, polished, cleaned the glass. It looks damn good. I did complete the survey my insurance sent me after I got my car back. I gave them all ones, which was the worst rating you could give. I also told them this story. It should not take six weeks to fix a bumper. 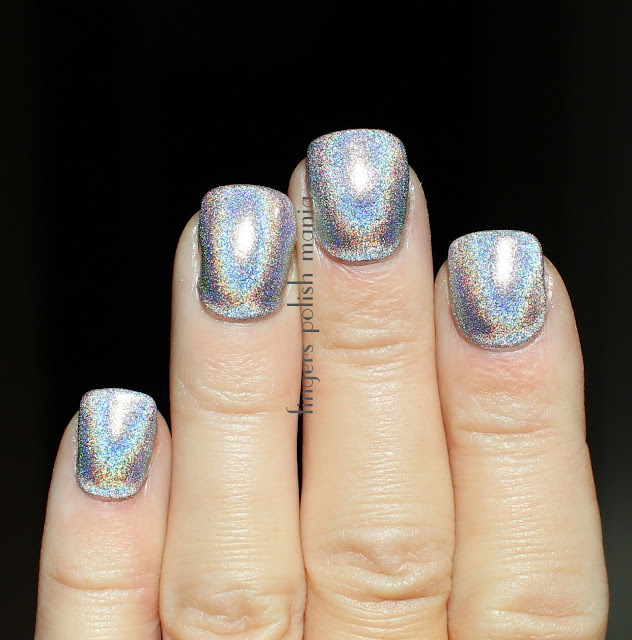 Today I wanted an in your face holo as if the work ban truly goes through, I wanted to wear ones I have been saving for special occasions. This is insane!!!! 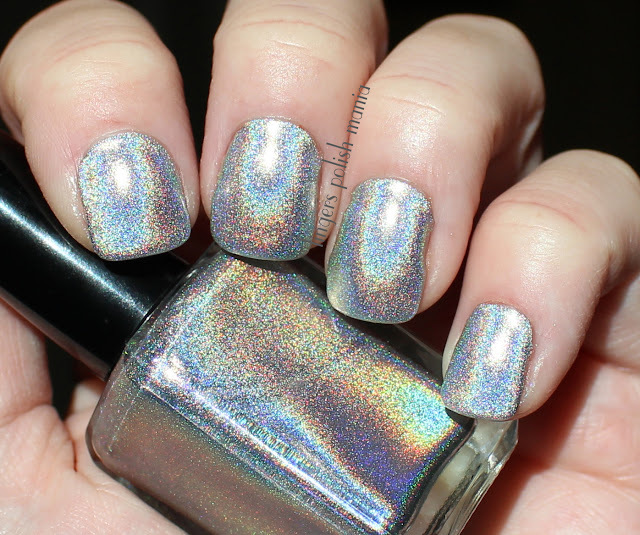 I so love holos this outrageous!